It's 1968 and after years of combat in Vietnam, Lincoln Clay knows this truth: family isn't who you're born with, it's who you die for. I was so disappointed by this one. 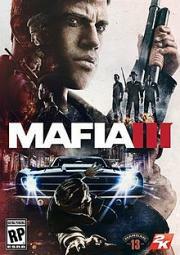 A big let down after the exceptional Mafia II. Flawed and repetitive but some fun characters and satisfying enough story. It's really fun for a little while until you realize the mission design is some of the most uninspired in all of open world gaming. You do the same thing over and over and while that is expected a little bit in the genre this goes too far. Really cool music and the story is interesting but there's not enough reason to see it through because of the tedium of the gameplay.